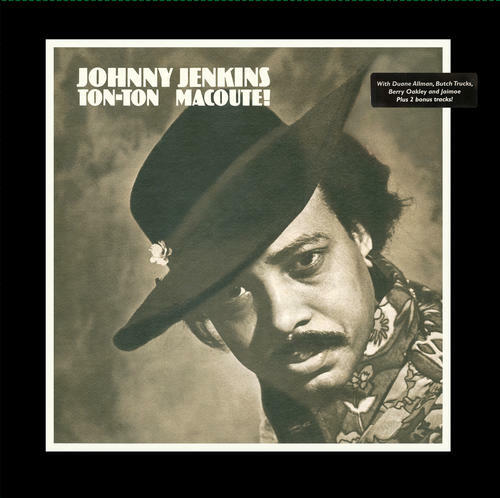 Johnny Jenkins' Ton-Ton Macoute! originally released in 1970, is a classic Southern cooked blues, rock, soul and country album. The recording started life as a Duane Allman solo record which was then taken over and completed by Jenkins and crafted into this release with help from future Allman Brothers members Berry Oakley, Jaimoe and Butch Trucks. Highlights include a cover of Dr. John's "I Walk On Gilded Splinters" which has been sampled many times, Bob Dylan's "Down Along The Cove", Muddy Waters "Rollin' Stone" and J.D. Loudermilk's "Bad News." Also included are the bonus tracks "I Don't Want No Woman" by Don Robey and Otis Rush's "My Love Will Never Die." On 180 gram vinyl in a gatefold sleeve.